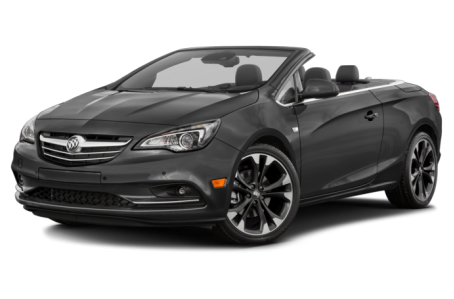 The 2018 Buick Cascada is a compact, two-door convertible that seats four passengers. Three trims are available: the Base, Premium, and Sport. Under the hood, the Cascada is powered by a standard 200-hp, turbocharged 1.6-liter four-cylinder engine mated to a six-speed automatic transmission. Fuel economy figures are estimated at 21/29 mpg city/highway by the EPA.